Flashcards take an important role in learning English, especially for young learners. Flashcards can help the children to understand better towards the topic given. Flashcards always bring fun activities. It depends on how we deliver it, though. It takes some time to think about the ways. Prepare a set of flashcards with the same part of speech. For instance: flashcards of stationery (Nouns), flashcards of Verbs, flashcards of clothes we wear, flashcards of famous landmarks in the world and so on. You can download this link to get a lot of flashcards that you need. 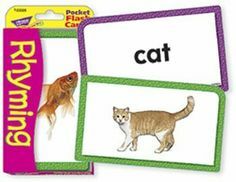 · Introduce the flashcards to the children. Either you do Q/A about the pictures or simply show and tell about them. Use two-sided cards (as what you get from the link above). Side one is the picture and side two is the word. After showing each picture, make sure you also show the children the word. Repeat this activity twice. · It’s time for guessing game. Show the picture and ask, “What picture is this?” Give the clue if the children fail to recall it. For instance, “This picture begins with letter P.” Whether they can answer it or not, always show the name of the picture to them. Say the word and ask them to repeat after you. Hopefully they can recall it better. You : What is this picture? You : Good. Please spell and read the word. Child : P-E-N-C-I-L—C-A-S-E … pencil case. Note: for most of Indonesian young learners, they get mixed up spelling the letters: “a”, “e”, and “i”. Sometimes they also forget the “r” which is almost sounded like “a” in Indonesian language. Drilling those 3 vowels frequently is really necessary. 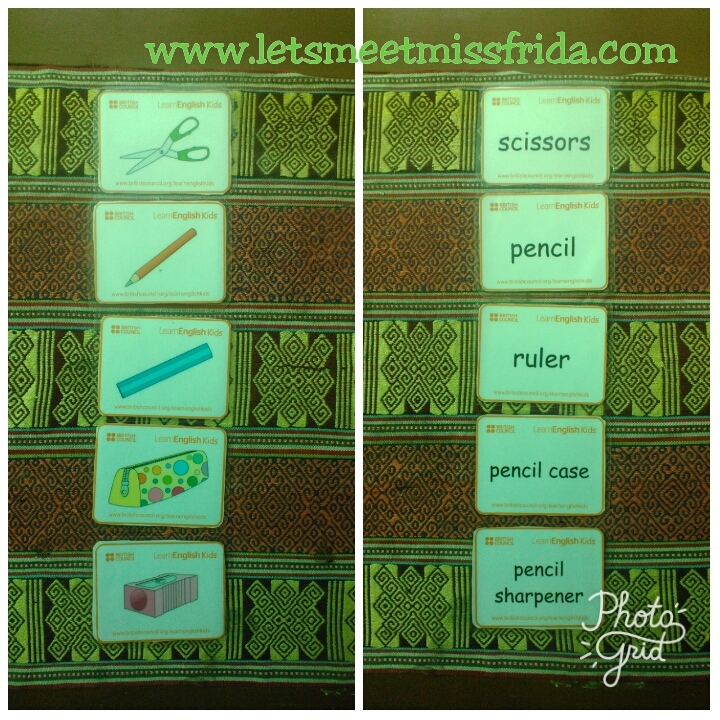 · You can discuss and give questions to the children about the pictures on the flashcards. You can give the knowledge about the history of the chocolate, for instance, if you happen to show the picture of chocolate. Just give a short information. You can also ask the function something. You : What does the lion eat? You : Yes, rabbit is also the meat. You : Correct. What is the crayon for? You : Alright. Crayon is for colouring, too. · Show the picture to the children. Ask them to write sentences about it. You may give a different picture to each child. On the other hand, you may also give the same picture for them. Make sure that they create their own sentences without doing copycat. · Always encourage and motivate the children to write. They must give a try in writing. · Sense their writing ability. If they tend to be clueless, then it is you who gives the sentence example first. How many words on my sentence? Let’s count together. One-two-three-four-five-six-seven. There are seven words. Now I’m showing you a card. And I want you to make a sentence about it. Give me at least five words. Do you understand? You : Wonderful! Now you make a sentence by using the word “zebra”. - Child 1: Start a sentence with the name of the picture given. - Child 2: Continue making a free sentence with the last word of the previous sentence as the first word. Insert the sentence with the word of next flashcard given. - Child 3: Do the same thing as above. Here is an example activity to help you:. You : (show the first flashcard of “glasses”) Make a sentence with this picture! You : Good job! (show the second flashcard of “pencil” to the next child) Continue the sentence. Start with the last word before and insert this new word. And so on and go on. You find it interesting, right? Remember to deliver the activities above in a fun way. 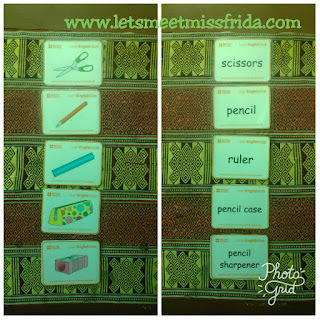 I hope that your children enjoy learning by using flashcards. Keep learning, keep teaching and keep sharing. Flashcards always become a great help.